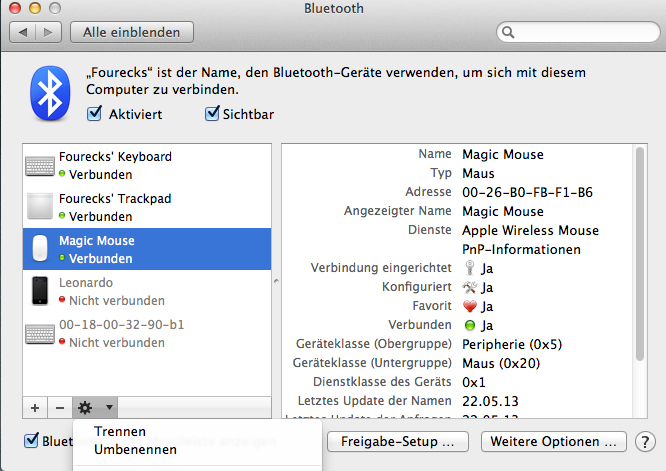 Is it possible to change the name of a bluetooth mouse? I bring my MacBook Pro back and forth between home and work. I have a Magic Mouse in both places. I guess because they are both the same model, I have to re-pair the mouse with the computer every time I go back and forth. They have very similar names so I'd like to rename them something like "Work mouse" and "House mouse". So far I haven't found a way. Is it possible? You can do so in System Preferences. 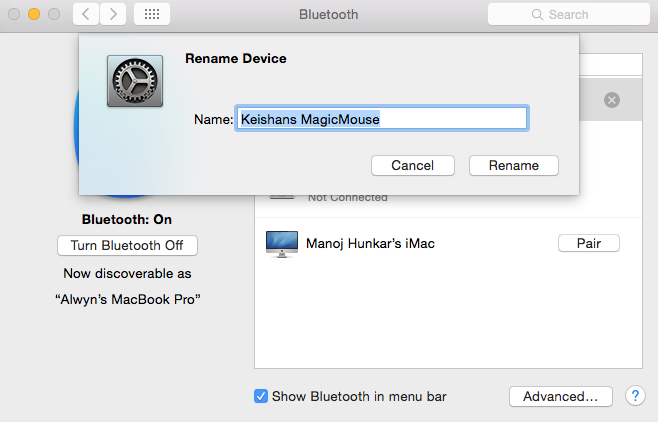 Open the Bluetooth panel, select your Magic Mouse and click the cog wheel at the bottom to select "Rename" from the context menu. With the new update, you may not find the cog wheel, so instead you can go into bluetooth settings and right-click (click with two fingers) the device you wish to rename. It should come up with a context menu. Select Rename, which will open a window where you can rename your mouse to anything you like. I was able to get the full menu (with "Disconnect") and successfully rename the device by not using it while attempting to rename (I was using CTRL-Command to bring up the context menu). 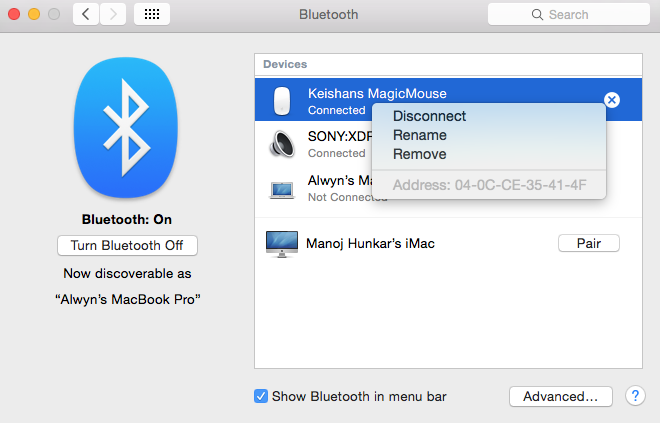 For macOS High Sierra 10.13.6 (17G65), to rename, go to System Preference → Bluetooth → Control + click to open rename option. 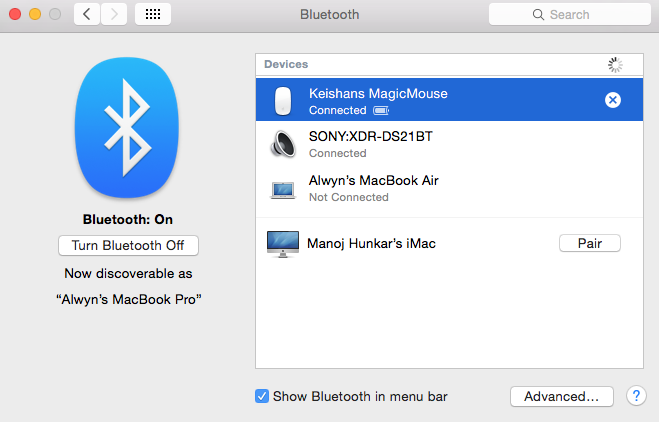 How can I use Magic Keyboard, Magic Mouse 2, Magic Trackpad 2 with late 2011 MBP? How to separate "mouse" and "trackpad" settings?